Upgrade to the latest version of OS X. If you are upgrading from Lion to Mountain Lion, then tere’s no need to visit a store and fetch a box, and install a bunch of discs. Just click the Mac App Store icon on your Mac. 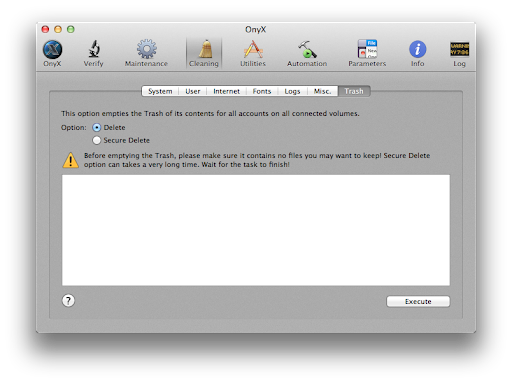 Buy OS X Mountain Lion. And your Mac does the rest. 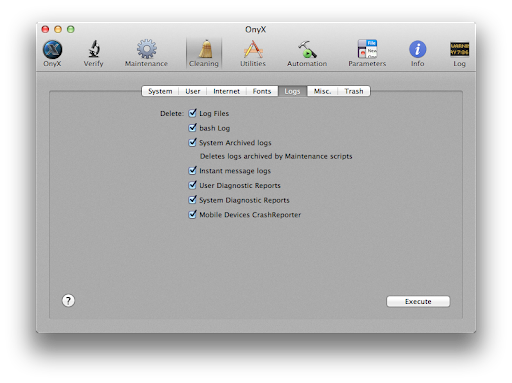 OnyX is an utility for Mac OS X which allows you to run system maintenance, to configure some hidden parameters of the Finder, Dock, QuickTime, Safari, Mail, iTunes, login window, Spotlight, and many of Apple’s applications, to delete caches, to remove a certain number of files and folders that may become cumbersome, and more. Download OnyZ and install it. 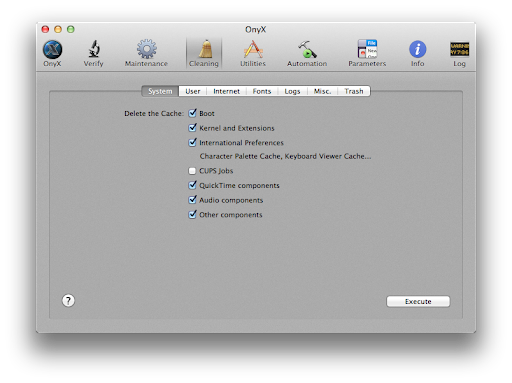 If you are tired of applications launching automatically when you start your Mac, then you can actually remove those Startup items from launching and slow down your performance. Startup items are quite easy to remove with a few clicks and tweaks in the System Preferences. 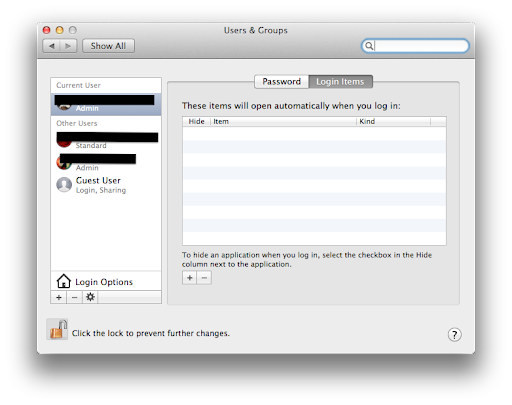 Navigate to System Preferences > Users & Groups. Now select you click your username, and then click on the Login Items tab. Here you are able to see all items launched at startup.